Although Musiq Soulchild has spent his first six solo albums signed as a major label artist, that will all change with the recent announcement that he’s joining Warryn Campbell’s “My Block Records” to release his future music; and we couldn’t be more excited. 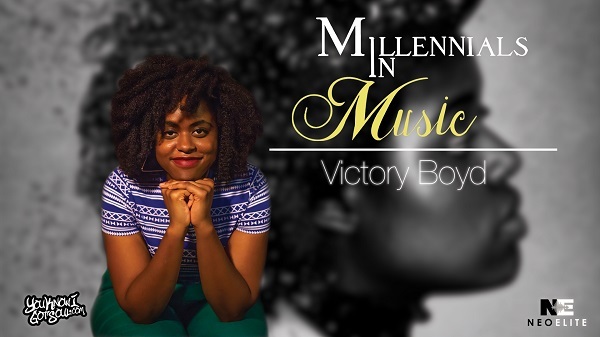 The creative masterpieces that this will surely bring are inevitable when two artists at the top of their respective crafts are brought together to make music. 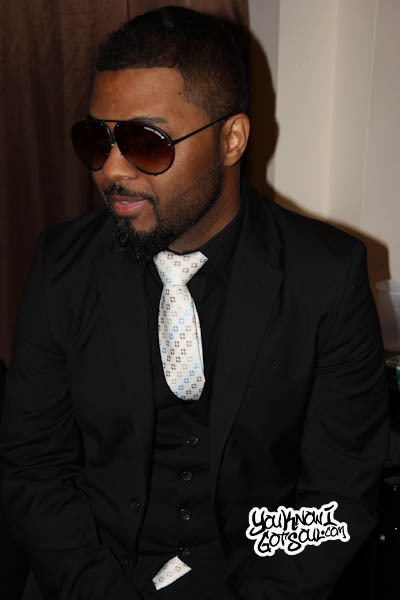 Some of it may be a surprise to many, as Musiq has expressed his desire to record music in other genres. Also interesting in Musiq’s future is the role he will play on R&B Divas in support of his son’s mother, Meelah Williams, who was recently added to the cast. We hope the drama of reality TV will avoid him, but the added exposure certainly can’t help. 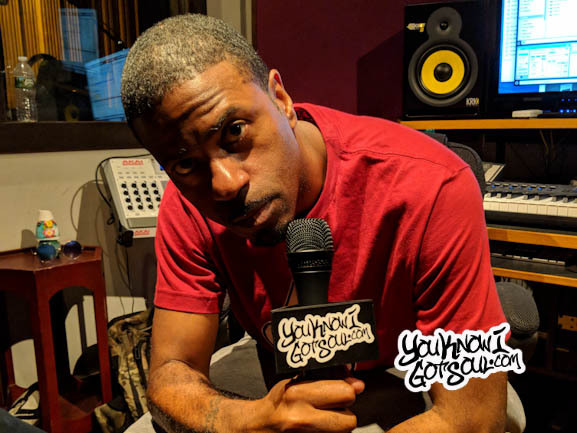 Check out our interview with Musiq where he gives his perspective on all of these topics and opens up with us about his future. 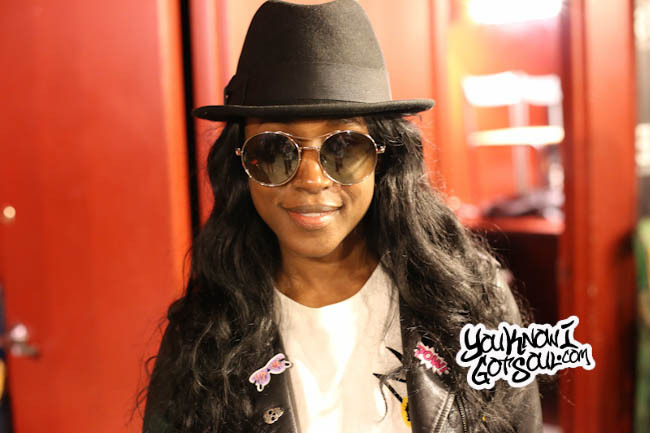 YouKnowIGotSoul: You’re an independent artist now, so you’ll be able to do your own thing now. Musiq Soulchild: Yeah, I’m signed to Warryn Campbell’s My Block records. I’m very excited about that because he’s been very supportive of my whole creative process. It’s still a business and we’re still about getting that money, but at the end of the day we want to make money doing something that we love and that people enjoy. We can make money doing anything, but we would much rather do what we love and make money from it. I feel we’re kind creatively and spiritually related and we identify with each other on such a deep level that we just get each other. One of the first times I worked with him, he produced a song called “Takeyouthere” on my “Luvanmusiq” album. That was the very first song that he and I ever worked on. From never having worked with each other before and then I saw him out in New York and he was like “Dude whatever you want or have in mind, I can make them come out of these speakers.” I was like “Okay, I’ve heard that before.” We were sitting down, working on chords and he was like “I got you.” I didn’t really have to explain a lot because he pretty much understood where I was going with a lot of it. When it the music came out as it came out, that inspired me to write the song I wrote and we did it quick. He did a lot of the music too. That’s him on drums, keys and bass. We just knocked it out and when that happened, I was like “You already get it!” Ever since then, we’ve been working on better and better music. YouKnowIGotSoul: I know on he’s been a part of your past few albums. 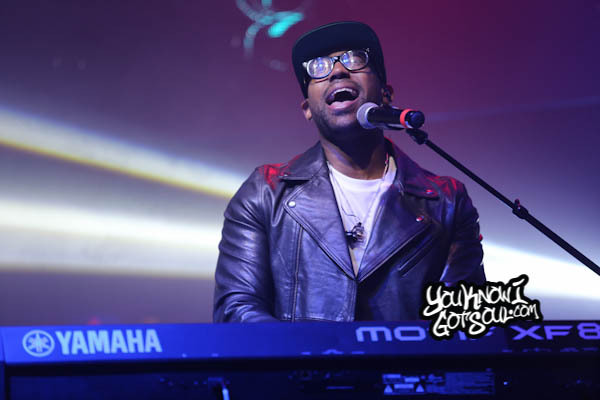 Musiq Soulchild: Yeah, he’s definitely been a huge inspiration for me. I feel like everybody needs a co-pilot in whatever you’re doing in life. I feel like musically, he is a great co-pilot and he’s only interested in helping me get to where I need to get to. The ill thing about that is that now that I’m signed to his label, my only interest, as far as being signed to his label is concerned, is helping him get to wherever he needs to get to. YouKnowIGotSoul: These persona’s you were talking about, would you want to collaborate with artists from different genres? Musiq Soulchild: That’s the whole point in doing these different persona’s. I want to collaborate and have a reason to work with these people. Let’s say I want to do a song with Waka Flocka, Musiq Soulchild doesn’t really roll off the tongue that well. But if I had a persona in that world, I might turn up with Waka. I’m not saying that’s happening or not happening, but there’s a possibility of that and I just want to create opportunities where everyone can have fun and make people have a good time off of music. I’ve never been the kind of person on that strict departmentalized crap. It’s all music. It’s all of these people doing all of these things and it just so happens that I’m one of those people that not only has the mindset, but I’m willing to figure it out of how to do all of these things. People listen to R&B music, Hip Hop and all these different things in different parts in their lives. I just want to be able to be a valid contributor to all of these genres of music. I’m not saying that I want to be the best at all of these things, that’s not my mission. I just want to be able to be mentioned in the same list of people who did it well. 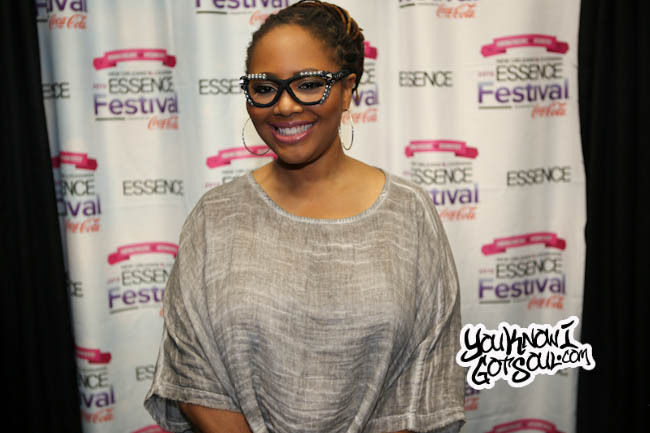 YouKnowIGotSoul: Of course Meelah is now on R&B Divas. Can we expect to see you on there? Musiq Soulchild: Yeah, but I’m mostly in support of her. Honestly, I’m not really into that and it’s no disrespect to anybody who does their thing. It serves a purpose because it’s entertainment for people. In a weird way, it’s therapeutic and educational to some people. I’ve heard some people speak their experiences from how they felt about what they witnessed and saw from that type of show. With that said though, I’m not really interested in that kind of drama and attention. I’m kind of the person that likes to have more of a positive impact rather than all of that agitated stuff. However, I am in total support of her and the fact that she got a gig on that. I am a part of her life, so it would be a douchey thing to not be there for her. I’m definitely going to be on there, but I don’t know how much I’ll be involved with the show. You will see me though, we do have a son together. It’ll only make sense to me. That’s the only role I’m interested in playing. I’m not trying to do a spin-off. I’m good. I got too up here that I’m trying to do anyway. 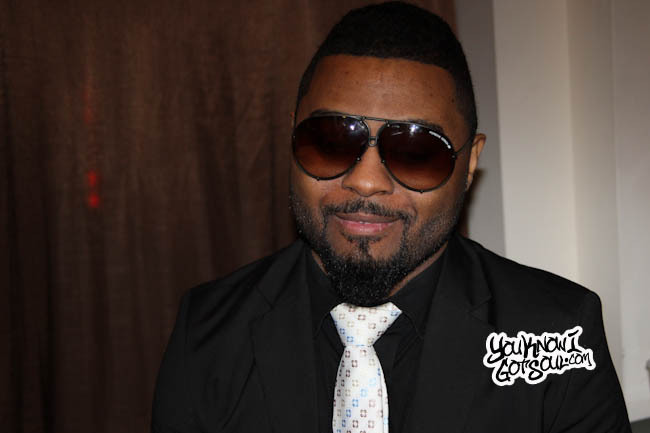 Musiq Soulchild: I appreciate everyone’s support. I’ve been at this game for awhile now. There’s been peaks and lows, but the fact that people are still interested in knowing what I’m doing is awesome because people can really not care these days. I’m definitely honored people still care and that I can still say something relevant and people will go out and support and come out to the shows. I just really want to be able to go down in history as one of the ones that really did their best to give people good music and made them feel good about being a human being and experiencing this creative gift that it is. I see myself as a messenger or a catalyst to humanity. This is my responsibility and duty. Everyone has their own thing and mine is music. I’m going to do my best and a lot of it is not going to go over well with everybody and I’m okay with that because that’s the reality of life. You don’t get anywhere without some bumps and bruises. This is my job, responsibility and grind so I take it very seriously. I want people to know that I’m not just going to put out anything, I’m not about that. I want you to know that whatever I do, I’m going to put all in it. I just pray that you dig it and if you don’t, just give me a minute and I’ll have something that you do dig.